Judy Coldicott is a Senior Tutor and Academic Team member for the College of Natural Health and Homeopathy. 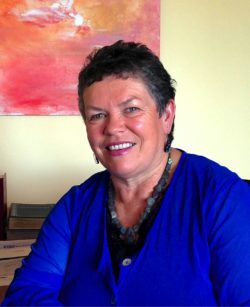 She has been practicing homeopathy in South Canterbury for 23 years and has seen many exciting results over this time. She loves to see the positive changes homoeopathy brings for a range of health problems and treats a wide range of clients including local farmers, women, newborns, children and the elderly, to help them attain balance in their health. Judy has also been teaching homeopathy for 21 years and is always excited to educate others to understand and use this wonderful modality. Having lived rurally herself, she has a special interest in teaching classes to those in South Island areas, empowering them to utilize natural health skills in the home. Judy also offers a range of other health modalities in her practice.